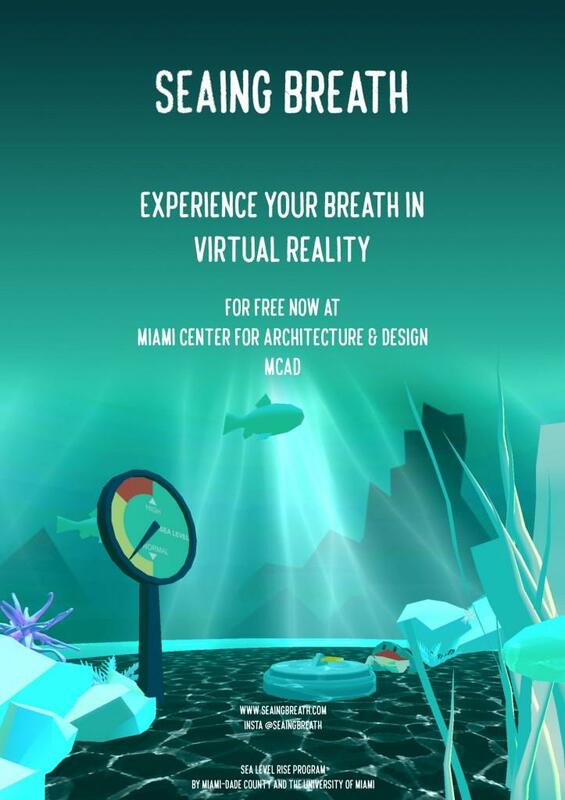 SEAing Breath | Miami Center for Architecture & Design, Inc.
SEAing Breath offers a virtual reality (VR) experience connecting the user’s breath with a virtual ocean via biofeedback. The user encounters sea creatures, and can breathe in-sync with them. The video also includes interviews with scientists who are participants of the Sea Level Rise program by Miami-Dade County and The University of Miami.